NEW FOR 2019: Registration is not available at the event. On-line registration will require PayPal payment, purchase order number or a personal check number to be processed. Meals and Tuition are included in the enrollment fees. Please see the tabs located at the upper left corner of this page for FEES and the conference PROGRAM. After reviewing these two tabs continue with your registration instructions. For your convenience, please print this reference page before starting the registration process by right clicking your mouse and select print. Invitee Information Page: Asks for your personal information, e-mail address and a drop-down menu to choose your registration type. Please review your registration information for accuracy, using initial caps for first name, last name, title, name of municipality and county. Lower case for e-mail is preferred. Your e-mail address is linked to the QR coded on your badge used for entry into all events, registering you for CEU's received and electronic mailing of your certificates. Listed below are the choices for your registration type review. 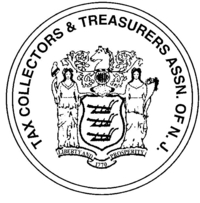 Members - Your 2019 dues are paid and recorded with the TCTANJ. If your dues are not paid, you will be notified and re-registered as a non-member at an additional fee. Please note, members in good standing receive a reduced fee for the conference. If you are a non-member, ABM or affiliate member disregard this requirement and continue your registration. Retiree - If you are a retiree and have paid your 2019 dues to the TCTANJ, please register as a member. If you are a retiree and did not pay dues, register as a non-member. Affiliate Members - Affiliate members, whose 2019 dues are paid, are invited to participate in the sessions of the conference, but may not contract for a booth or sponsor any event at the conference. Please register as a member. ABM - Those choosing ABM registration may continue with the registration process. All ABM fees must be paid by April 16. In the ABM registration section, you can purchase booth space if required. Please have only one person's registration reflect your business's choice of booth space needed. Upon making the booth choice, your confirmation includes your registration and cost for your business's booth rental. If you are not the business person registering for a booth, continue without checking Booth Purchase and finish the registration process. Non-member - Those choosing non-member continue with the registration process. Please help us control food costs, at the event, by only choosing the meals you will take part in, giving us a better way to accurately guarantee each meal count. Your badge includes a bar code for scanning during the conference. We are using the scanning process to allow entry and secure a more accurate count of participants at each meal. Guest badge with meal tickets are available for purchase at the registration desk during regular conference hours. This badge includes a QR code to secure entry for meals purchased. Badge for guests who are non-participants in the conference and wish to accompany a registered member are available at the conference registration desk at no cost. This badge does not include a QR code for entry into any meal functions. Credit Card - If you plan to pay by credit card, have your card available for payment information. We accept Visa, Discover, Amex, MasterCard, through PayPal only. Check - If paying by check, have your personal check number available for completing your registration. Upon completion of your registration, you will mail your check to the address listed under Payment Options. Purchase Order - If you are paying by purchase order, you can use the printed receipt generated at the end of the registration as voucher/proof of service to process the PO for payment, including check preparation. You may also wait for the confirmation e-mail for the same. Please send all documents to the address listed under Payment Options. *PLEASE NOTE* If paying with a personal check or through PO, the check must include an identifier (name of registrant, confirmation#, or PO#). *NEW FOR 2019* - ANY PAYMENT RECEIVED AFTER 09/01/19 WILL BE ASSESSED AN ADDITIONAL $50.00 LATE PAYMENT FEE. Completing Registration/Hotel Room Reservations – After clicking finish, an e-mail confirmation is sent directly to your inbox for payment processing. Included in this e-mail you can find all information needed to complete your PO processing for payment. On this page you can find the claimant’s certification and declaration, payment details, fees for room reservations, and parking charges. You can also click to make your hotel room reservations at the Tropicana from this e-mail. If you haven’t received an e-mail confirmation after completing your website registration, the solution can be as easy as looking in your spam file under the inbox icon for the confirmation. Registration Desk – The desk opens at 7:30 AM, staffed by the volunteer conference committee, welcoming all to the TCTANJ - 52nd Annual Spring Conference. Please make your first stop the front desk to receive your gift and to pick up a badge holder. if needed. *NOTE: WE WILL NOT BE GIVING OUT BADGES AT REGISTRATION. YOUR CONFIRMATION PAGE THAT WAS EMAILED TO YOU WITH THE QR CODE IS YOUR ENTRANCE INTO THE EVENT AND COURSES* Your email system may require that you right click and download the picture for the code to appear. Your QR Code must be presented for recording your admission to sessions, CEU credits and entry into the Grand Exhibit Hall for all meals and other events. The conference staff is available to answer any questions you have during the event. Exhibitor Booths – Please visit all our exhibitor booths located in the Grand Exhibit Center and play bingo for prizes. Any registrant who intends to transact business at the Spring Conference, who is not an Associate Business Member, must obtain written permission from the TCTANJ. The TCTANJ reserves the right in its sole discretion to reject any registration and/or to revoke any registration at any time. CEU Certificate(s)/Feedback Survey – Please note CEU'S WILL NOT BE SENT OUT UNTIL PAYMENT IS RECEIVED. Surveys will be sent out about 10 days after the conference. See you at the 52nd Annual Spring Conference! Questions regarding Associated Business Members, please call Darren Lowe at 908-665-1999.